HALOFINA, a personal financial planner assistant application provider helps users to manage their personal finances and develop investment strategies according to their financial abilities. Halofina co-founder and chief executive officer Adjie Wicaksana says that in 2017, he realised the low rate of financial inclusion in Indonesia. In mid 2017, they launched ‘Finapedia’, an e-learning platform for financial education, with Indonesia’s Smart Financial Movement (GICF). This venture was initiated by Halofina co-founder and advisor Eko Pratomo, who is also a former CEO and senior advisor of one of the largest investment managers in Indonesia. At the end of 2017, Halofina offered three main services free through its mobile app (available on Android and iOS) namely, smart planning, life plan, and educational features. Smart planning helps users to manage their financial planning and calculate the amount of money they have to save according to their goals, such as, getting married, purchasing a house or car. Life plan is a feature that gives users advice and recommendations in terms of money that is currently available. The platform integrates with fintech players such as peer-to-peer lending providers Amartha and Mekar, gold investment providers Tamasia and Indogold, as well as payroll management platform Gadjian. Users will be referred to these partners for help in monitoring and managing their investment through a single dashboard. The platform utilises in-house Artificial Intelligence (AI) technology in the form of a virtual assistant. The financial ‘theories’ utilised are provided by four of the current financial advisors. Adjie says that Halofina is only available for 100 premium users (for a month) during its soft launch now and will be officially launched by the end of this year with completed features. He wants to work closely with financial institutions or players who also have the willingness to educate the community on financial products and services. Halofina takes a percentage (undisclosed) of the referral fee for every successful transaction between users and partners. It now has 15 staff in the team including IT, marketing, and business developers. The company is bootstrapping and is in talks with several local and foreign investors to raise seed round funding (undisclosed) in the near future. Halofina graduated from the ITB incubator and was selected as one of the startups in Plug and Play accelerator for its third batch. 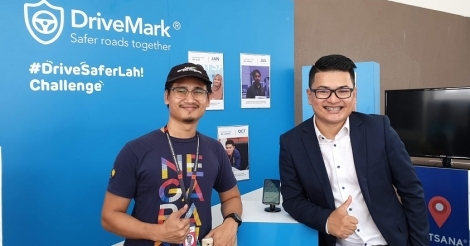 Adjie also targets 100,000 users in several big cities across Indonesia such as Jakarta, Medan, and Surabaya next year after it’s officially launched. He says that Halofina will continuously provide education through offline and online campaigns.